Successfully saved Beach Ham and Egg Brunch Cups to your Calendar. You can also save the ingredients to your Grocery List. 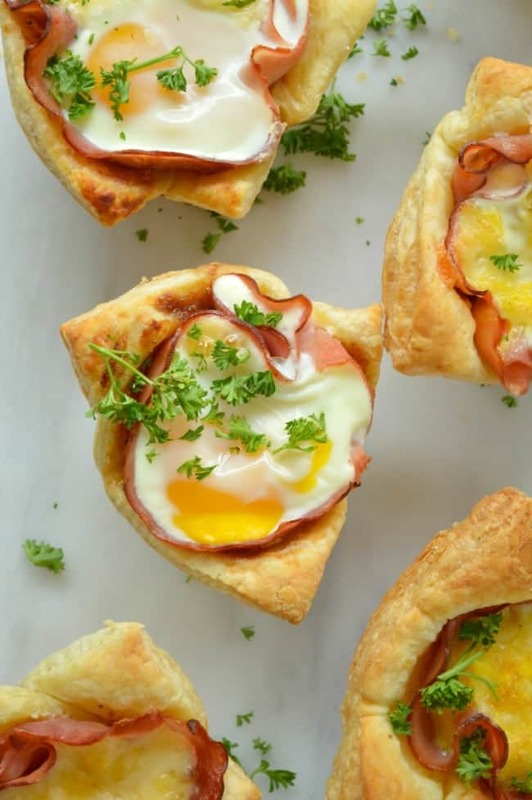 Ham and Egg Brunch Cups are super simple and so delicious! Puff pastries are filled with a sweet mustard glaze, ham, cheese, and eggs, and baked in muffin cups! The perfect pick-up brunch.